Let’s start with an introduction: Who is Paul Starkey? Who is Paul Starkey? I’m just a regular guy with a very irregular imagination. Aside from three years at University in Wales I’ve spent my whole life in the East Midlands. I was born in Derby, I live in Nottingham and I work in Leicester. I’m still amazed people like reading the words I put down on paper, but I’m even more amazed that I have the dedication to write entire novels given how lazy and easily distracted I am! Your latest novel, The Lazarus Conundrum, will be published by Abaddon. It looks pretty cool: How would you introduce it to a potential reader? Is it part of a series? The premise of most zombie fiction is ‘what would happen if the dead started coming back to life?’. For my story the flipside is the hook, ‘what would happen if the dead stopped coming back to life?’ Its set in a near future Britain where zombies are a fact of life and the NHS has never been so well funded, when a young woman named Trinity Brown is murdered and doesn’t come back it has the potential to cause chaos and the story follows Detective Inspector Helen Ogilvy as she tries to work out who murdered Trinity, and why she didn’t come back. It’s part of a series only insofar as it’s one of the Tomes of the Dead, otherwise it’s a completely standalone story. I was inspired by the open submission call itself, and by the wealth of other genre fiction out there. In general I’m inspired by great works, but I’m also inspired by lousy books, ones I know could be done better. As for my ideas, as with most writers it’s a succession of what ifs. Growing up the TV had a formative impact on me, particularly Blakes 7 and Star Trek but also Doctor Who (although oddly I’m far more of a Whovian now than I ever was as a child). I was a voracious reader from an early age, and though I have no idea of its title the first book I can really recall featured astronauts facing some kind of crisis on the moon. Beyond that The Lion the Witch and the Wardrobe, Spaceship Medic by Harry Harrison and a book called Conrad’s War all had a big impact on me early on. I love being a writer. Working with Abaddon has been my first experience working with a major publisher, before this I’ve mainly self-published or sold short stories to indie publishers. I think working within the publishing industry is hard work, but can be fun and very rewarding. Nothing earthshattering. I write every day, or at least I try to and it’s rare for me to go more than a few days without writing, unless I’m on holiday and even then I tend to have a notebook with me. I mostly plot my stories out in advance. I never know how writers can start a novel not knowing at least roughly where they’re going. I very vividly remember being about 10 years old and, having written a story at school, having my teacher (Mr Wongsam, great teacher) say it was good and that maybe I’d be a writer someday so I’ve probably known I wanted to be an author since then. That said I really didn’t properly start writing until I hit thirty, and my first major project was fan-fic, I created my own Star Trek series called Vesta. Obviously it was not anything I could ever publish but it was a great learning environment and I’ll always remember those characters fondly. Currently I’m working on a novella which is a story that’s been rattling around inside my head for many years. I’m also trying to find a home for my latest novel, a small scale view of an apocalypse where the world is plunged into darkness and I’m preparing to self publish another novel, Tempo, an action thriller featuring parallel earths. After that I need to turn my attention to what my next big project will be, I have a few ideas but nothing concrete as yet. 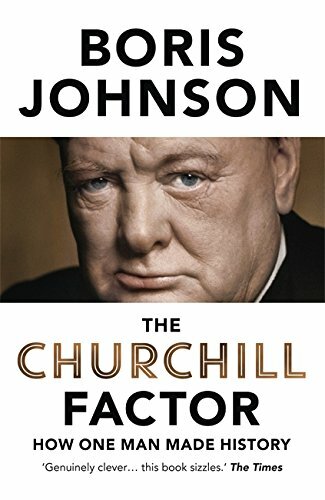 Probably 75% or more of what I read is fiction, but at the moment I’m reading Boris Johnson’s biography of Churchill. I didn’t learn to drive until I was 37? Sorry that’s a bit boring, how about something really contentious, Sean Connery is my least favourite Bond! 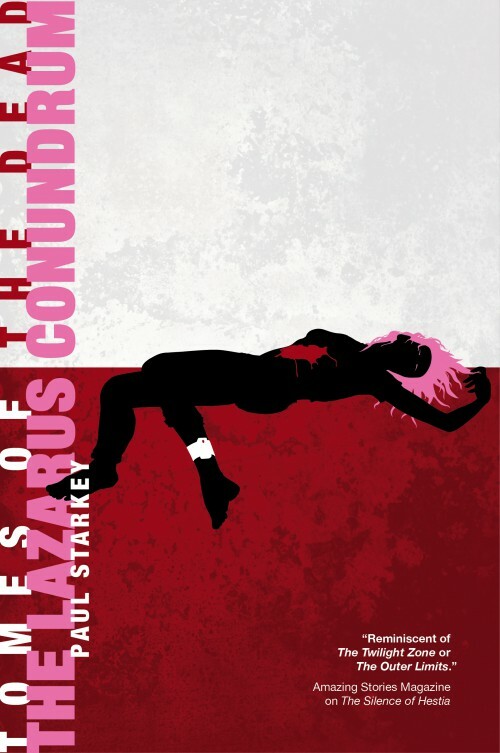 I’m looking forward to seeing The Lazarus Conundrum published and seeing Star Wars Episode VII! I’m also looking forward to doing a lot more writing.